Hello mnml peeps! I’m new to the forum. Seems an excellent community. Lots of really interesting information. Anyway, recently, I've been trying (and largely failing) to work out how the bassier side of a track from one of my favourite artists has been put together. The track is 'Blood Witness' by Regis. There are various versions. They all offer a slightly different insight into the production aspect I'm wondering about most. That aspect being how the kick and low-end interact, and where the low-end is coming from in the first place (I'm pretty sure there is no bass synth being used). It sounds as though there is a fairly direct relationship between the (mainly 909, I think) kick and the low end rumble, but I can't work out how the aforementioned rumble is changing pitch if it's just an eq'd version of the same kick. Do you think he might have created some sort of amplitude (of 909 kick, as it varies) to pitch (maybe frequency of eq?) chain or something? Is that easily do-able? Perhaps the rumble is just a set of pitched and low-pass eq'd 909 kicks? I've been trying this, but can't seem to achieve a similar effect. I’d like to be able to get really close to the sound initially, but then use it in my music in my own way. Could have been done completely differently to how I think of course, and I'd be happy to hear how anybody else thinks it might have been done. I'd appreciate any one's input! I should maybe have mentioned in my original post that I have tried sending one of the kick sounds/tracks to a reverb and low-pass combination. However, still this doesn't quite seem to get the same sound. Like I said in my original post, the thing I can't seem to work out is how the pitch of the bass/low-end rumble (the kick with reverb and a low-pass filter on it) seems to be changing so much when the source just seems to be a kick drum sound of different volumes or perhaps different velocities. This pitch difference is in both the tracks, but is perhaps more clear in the second one. Would like to hear your attempts at it! sophiesophie wrote: I should maybe have mentioned in my original post that I have tried sending one of the kick sounds/tracks to a reverb and low-pass combination. However, still this doesn't quite seem to get the same sound. Sometimes you have to think out of the box a little. I don't know how 'he' does it but I know how I have done similar things and the results are very similar. Essentially, what you are trying to do is better done with resampling, it offers way more control than gated low passed reverbs and heaps of efx chains. 1. Record/bounce out a solo 2 bar kick loop. Not just any kick, it HAS to be the kick you intend to use for the track, you'll see why later. 2. You need a few bars for Paul Stretch so it gets fed enough info. Use default settings but change the stretch mode to hyper stretch and move the slider to something like '3 days'. When done correctly, you should just hear the kick stretched to oblivion making an endless bassy, noisy drone. This is your raw sample. Either record the output into an editor ( I record from it directly into Wavelab ) or make a wav from the app. Call it 'kick 1 stretched' or whatever the name of the kick is. 3. Open your daw and drop the sample you made in a sampler. Whatever your kick pattern is, mimic it but make each midi note sustain until the next hit. Now you should have a very raw and rough 'gated' sound and it's here you will need to tailor it to make it sound great. 4. Reduce the samplers polyphony to 1 note so there is no overlap from any release time and adjust the ADSR to suit, I usually make the attack softer and fiddle about so there's no clicks in between the hits. Your sample should be at least 10 seconds long which will give you plenty of material to play with so find a nice spot by experimenting with the samples start time. This technique usually doesn't bring about any phase issues as its essentially the same frequencies but it's possible some will occur depending on your sample start time so experiment with that. 5. Once you have everything tight, it should sound very similar to a controlled 'gated reverb' sound with the stretched kick giving that decay/bass sound. Here, it will be in stereo so you are going to need to experiment with a plugin that controls stereo spread and you'll also need an eq and/or a filter but more on this below. That's you basic sound and it's then up to you as to what you do now. When I have done this, I have made 2 instances of it and hi pass filtered one of them at about 300hz to 500hz and left the stereo information in and I have low passed the other one at the same frequency of the hi passed version and made it mono and actually bounced it out again to a single sample. You can also experiment with the pitch too, maybe add a 3rd copy of the sample and make it +12 or +7 and mix it in and eq it to fit. If you have done all this correctly, you will end up with the same type of sound. No idea how Regis made his but often in the world of music production trickery, people find their own way of doing similar things. The reason why this works is that you're using the same source sound and it's the exact same frequencies albeit stretched. It's way better than trying to make decay from reverb and then f_cking about trying to control it and get it tight. This way gives you the actual sound not an ambient representation of it, just control it with ADSR settings, eq, stereo width control and 1 note polyphony. Experiment using other drum sounds to in the exact same way. Claps, hi hats etc, layer in a stretched version of itself and create tails which you can blend in at a low level giving subtle depth to any sound really. 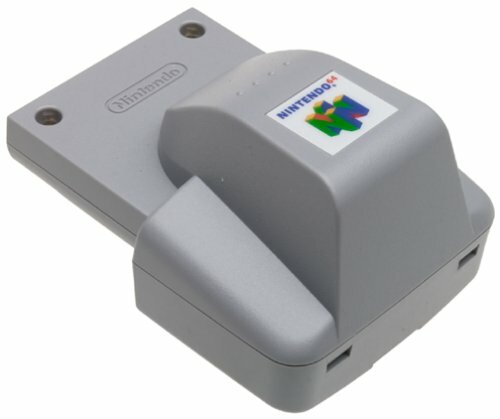 Ah, the old Nintendo Rumble Pak. Was always more of a DualShock type person... Maybe that's why I've been struggling to get this rumble sound! :-) Trust me, you wouldn't like to hear any of my attempts so far! They’re mostly falling somewhat flat. AK, wow, thanks for the really helpful, detailed reply! I'll be trying this kind of approach when I get the chance. Sounds promising for this type of track, but it seems like a really good approach for sound design in general. Sometimes these kind of hard/offline processes are what produce some of the best results. I've got a friend who used/uses PaulStretch in some of his music (to great effect, if you'll pardon the kind of pun), but I've never used it myself. Time to change that I think! Excellent sounding sample packs by the way. I'm a big fan of older samplers and drum machines (synths as well of course). Probably use more of the former than the latter at the moment though! sophiesophie wrote: Ah, the old Nintendo Rumble Pak. Was always more of a DualShock type person... Maybe that's why I've been struggling to get this rumble sound! :-) Trust me, you wouldn't like to hear any of my attempts so far! They’re mostly falling somewhat flat. Try all things you havent tried yet, that's usually a surefire way to stumble upon other things too, 'printing' off your reverb can work too, or sample a 'freeze' function if your reverb has it. You can add filtering after and mono-fy it if necessary and control it much better as well. The sampling of reverb might be better suited for this to be honest in terms of my contribution at least, where I used the above technique was in a different genre. I sampled a drum break for some DnB/Jungle track and the result needed gating to get it tight but I didnt want the resulting sound to be choppy and needed to put 'air' back in between the drum hits but simple reverb didn't cut it so I stretched the hits through p-stretch and put these in a drum rack in ableton and mixed them back in alongside the break. The result I achieved was very similar to the sound associated with 'drum overheads'. It was very effective for my purpose but I was aware of how this could be used and this type of scenario did occur to me. AK coming through with the techniques.Looking forward to trying these out.